In a traditional facial rejuvenation procedure, such as a mini-lift or facelift, the technology and approach used is decades old. While the results are still amazing, what’s really amazing is that there hasn’t been any recent technological developments that can improve results, and reduce discomfort and recovery time. Until now. Smartlifting™ is the newest and most exciting facelifting technique to be introduced in over 20 years. The procedure involves the Smartlipo laser, made by Cynosure. The Smartlipo machine is an advanced laser system originally developed for advanced liposuction and skin tightening treatment on the neck and the rest of the body. However, the use of this technology on the face has just been appreciated. Smartlifting™ describes these laser-assisted facelifts, and Dr. Khoury is one of only five surgeons in the U.S. performing this technique. 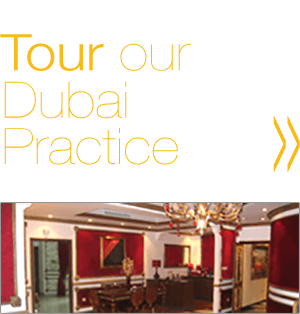 He was also one of the few official instructors of this revolutionary new procedure, with courses in Denver, Vienna and Dubai. Dr. Khoury has also expanded Smartlifting™ to include the use of the VASER machine as an equally safe and effective alternative to the laser. He is the only one in Denver capable of utilizing either technology in conjunction with a facelift. VASER technology utilizes probes that resonate at a very high frequency and deliver similar results as the lasers. In SmartLifting™, the doctor applies the SmartLipo laser or the VASER probe (ultrasound based) underneath the skin, using it to manipulate skin and muscle tissue, as opposed to laser skin resurfacing in which the laser is applied to the outer surface. This approach makes the facelift procedure dramatically less invasive than a traditional procedure, which provides the patients with multitude of additional benefits, including better results. Nothing this new has been introduced technologically in face lifting for close to 20 years. The key is how the procedure’s minimally invasive nature eliminates a number of risk factors associated with traditional facelifts. For example, the procedure can be done with local anesthesia, compared to general anesthesia required for a traditional full facelift, which is much more risky for a patient. Also, the time needed for the procedure is greatly reduced. The non-surgical method can be performed in less than one hour. The laser/VASER-assisted form can take slightly longer, but nothing compared to the up to 5 hours it can take for a general surgical facelift procedure. These factors, along with a number of others, all add up to a procedure that is safer, more comfortable, and will produce better results. What does this mean for you, our patient? Perhaps the biggest benefit to a patient that Smartlifting™ can provide is peace of mind. Because along with amazing procedural benefits, the treatment allows you and centers such as Denver Cosmetic Surgery to focus on one simple goal: the best result possible for you. You see, patients often come to our center thinking they need a full facelift. Or a forehead lift. Or a mini lift. They’ve done some research, contacted some centers, and they feel that this is the best treatment option for their desire and their budget. But in reality, the patient may be completely misinformed as to what option(s) are best for their unique facial features, and their desired result. That’s what makes Smartlifiting™ so beneficial to our patients. Why? At Denver Cosmetic Surgery, our general facelift prices are already up to ½ less than what some other centers charge. Smartlifting actually costs less than general facelifts. 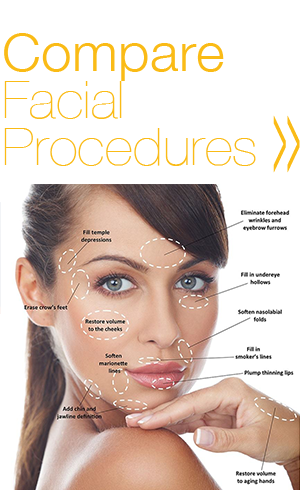 When compared to general facial rejuvenation procedures at other centers, there really is no comparison. The results are better, the recovery faster, and the procedure more affordable. All this added up means you can come to our center with a confidence and an understanding that all that’s left is choosing the right treatment plan that’s best for your unique features, and best for your desired results. 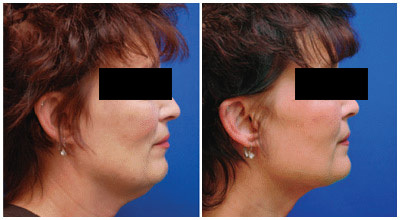 Laser/VASER Facial Sculpting™ is the least invasive approach. The laser from the Smartlipo machine or the VASER probe heats the skin from underneath and then combined with selective liposuction to specific areas of the face. 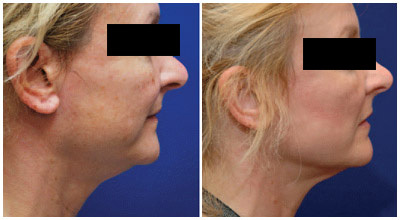 The use of the laser/VASER allows for skin tightening through tissue coagulation. In patients with skin changes due to actinic sun damage or possesing additional facial and neck laxity, a fractional laser is used for skin resurfacing from the outside surface. Essentially, the skin is addressed from both sides; an inside and outside treatment. This provides for further skin contraction than simply using the laser on the outer surface. These procedures are performed with local anesthetic, and the incisions are very small — usually two to three small 1 cm incisions, which are also very well-hidden. It is a great option for patients in their early-to-late forties and for patients with acne scars, especially patients who do not want any facial incisions. UltraMiniLift™ is a laser/VASER-assisted mini-lift. The Smartlipo laser or VASER machine is used to perform the procedure through a very short incision. It usually takes less than an hour and is also done with local anesthetic. Candidates will have more pronounced signs of aging, but not so severe as to merit a more aggressive lift. Compared to a traditional mini-lift, the benefits include less bruising, speedier recovery, and most importantly, better results with additional skin tightening. Laser SmartLift is a laser-assisted facelift that delivers a full facelift result with less associated trauma. In a similar fashion, a VASER SmartLift is an ultrasound-assisted facelift that utilize probes that resonate at a high ultrasound frequency. In addition, it usually addresses the neck along with the face. In this setting the maximum benefits of the technology surface. From a surgeon’s standpoint, it drastically improves the ease with which the surgery is performed. 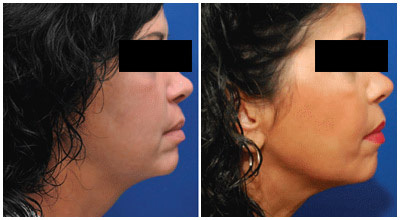 From a patient’s standpoint, amazing full facelift results are achieved in a more minimal setting. SmartLifting™ promises to revolutionize facelifts. 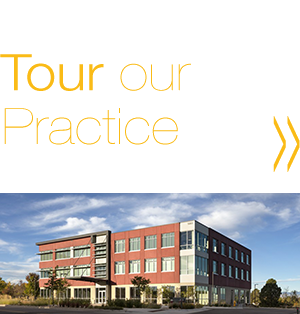 Dr. Khoury and his team are proud to be the first to introduce it to Denver and soon to the rest of the country and the world.